Happy Spring everyone! We are loving the change of weather and newness of spring. 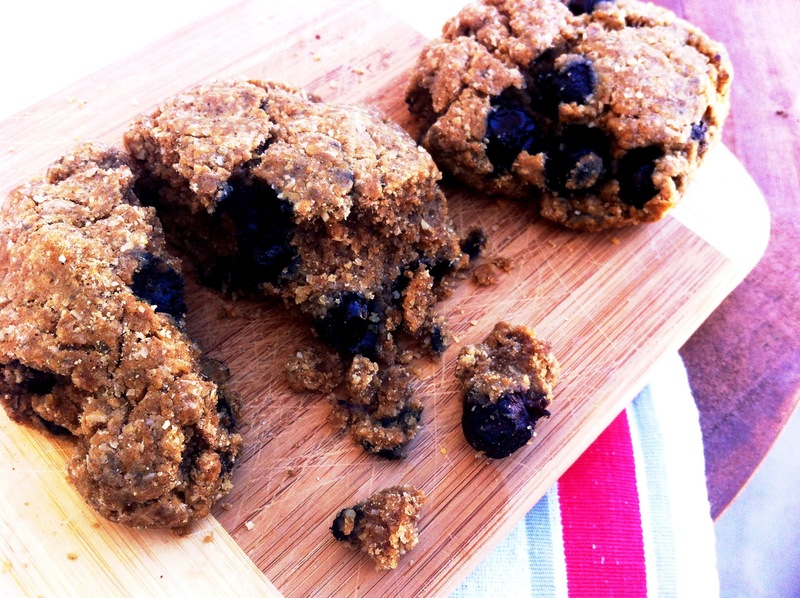 Today we are sharing a rustic gluten-free biscuit recipe that is loaded with blueberries! Our kids are constantly eating and having healthy biscuits around makes for a fun and quick snack we can all enjoy. These biscuits are sweetened with just a couple dashes of stevia and a bit of iron-rich blackstrap molasses. Store extra biscuits in the freezer for a quick breakfast treat. In a large bowl, combine the flours, baking powder, baking soda, cinnamon, sea salt, xanthan gum and stevia. In a small bowl, combine the oil, molasses and almond milk and stir well. Pour liquid mixture into the flour mixture and stir until just combined. Fold in the blueberries. Drop 2-3 inch scoops of dough onto parchment-lined baking sheet. Bake until lightly golden on top and firm to the touch, about 20 minutes.